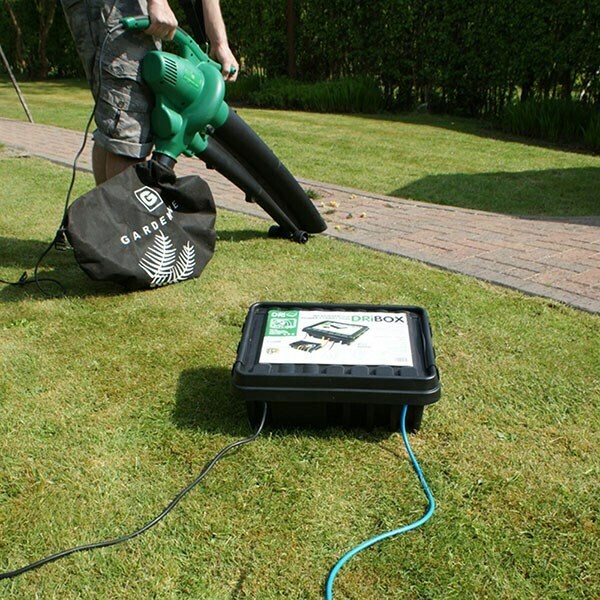 Safely use electrical equipment outside in all weathers with the sturdy weatherproof Dri-box. Designed for use with multi-socket extension leads, the watertight box fits around the connection points to keep out moisture and dirt. 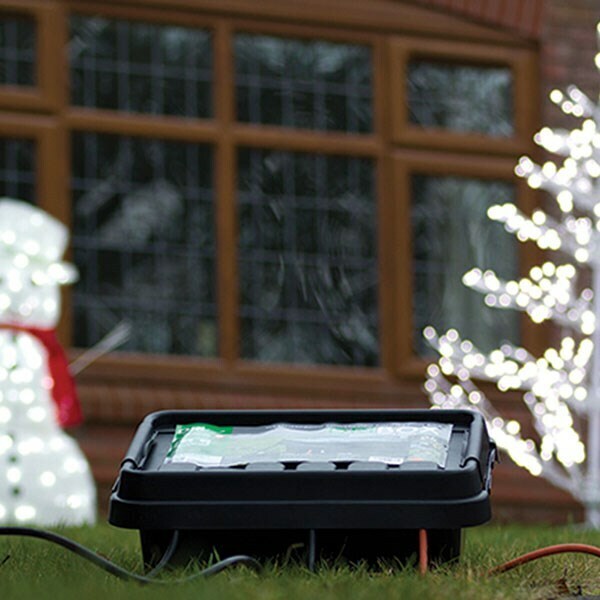 Ideal for garden lighting, pond pumps, etc that stay outside long term, as well as ensuring extra safety when using patio heaters, power tools and lawn mowers. Available in a choice of two sizes, each with 1 cable inlet and 4 cable outlets.